Starting at noon EST, Microsoft will be debuting Windows 10 for the public, along with possible announcements about their mobile operating system, Cortana the audio assistant, details on the Spartan browser, and maybe a few surprises about Xbox. You can watch it streaming live! The livestream is here, starting at noon. 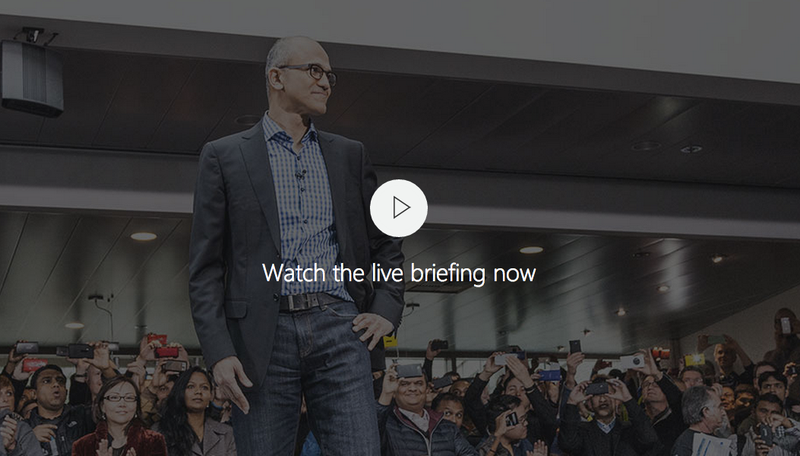 Of course we can't embed it, because Microsoft wants you to understand that they stream just as well as YouTube. Everything you need to know about Windows 10. If you're watching along with us, post your favorite Microsoft announcement gifs in comments — from today's announcement, but also from marvelous moments in Microsoft's past.